TANF was created to help families in need. The TANF bureau works with families to help them become self sufficient. Washington State TANF Benefits There is a maximum of 60 months of TANF assistance benefits within one's lifetimes. There is oftentimes a differentiation between adults and children. If you are a child and receive TANF benefits, depending on your State, you could receive another 60 months as an adult. Children must be citizens or have eligible alien status. You must have a social security number. Children must be 18 years old or younger. If you are older than 18, you must be a full time student with an expected graduation date before the age of 20. - Families must have a child under 18 living in the home. Pregnant women in their last 3 months of pregnancy. Free Dental Clinics - Check out this great directory of Washington State free dental clinics. 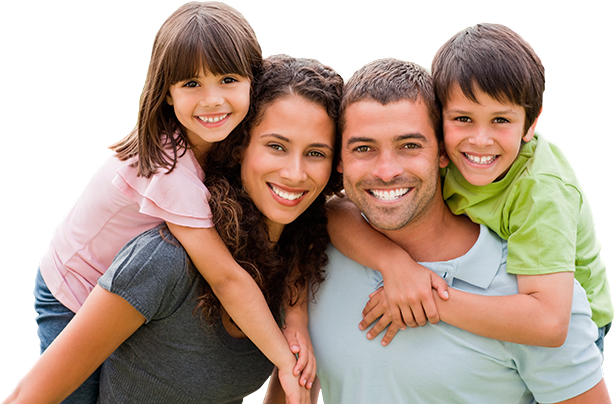 www.FreeDentalCare.us - Free Washington State Dental Clinics. Transitional Housing: If you are looking for Transitional Housing in Washington State, try out www.TransitionalHousingFinder.com - Washington State Transitional Housing. Out Reach Centers: Find Outreach Centers in Washington State. Check out www.OutReachCenters.net - Washington State OutReach. Free Medical Clinics - Check out this great directory of Washington State free medical clinics. www.FreeMedicalSearch.org - Free Washington State Medical Clinics. The work activity requirement applies to families with one or more adults in the assistance group. The requirement also applies to families where the adult has been sanctioned due to non-compliance with work requirements but the assistance has been continued to the children under a special hardship provision of state law. 'Child-only' families where the child lives with a relative and the needs of the relative are not included in the calculation of the benefit are not subject to the work requirement. In addition, adults who are not included in the calculation of the TANF benefit because they receive federal Supplemental Security Income (SSI) benefits or because they are ineligible non-citizens are not subject to the work requirement. EBT cards are used to distribute welfare cash benefits function like any other debit card. They can be used at any retail establishment that accepts debit cards and can withdraw cash. More recently, states have been curtailing the use of the cards and expressly prohibiting their use in certain locations, mostly casinos, liquor stores or other gaming establishments. Job search and job readiness (limited to not more than 6 weeks in a federal fiscal year with not more than 4 weeks consecutive). To be eligible, families must meet both financial and non-financial requirements established in state law. In general, families must include a child (or a pregnant woman) and be residents of California. Children under age 5 must be current with childhood immunizations and children age 6 to 18 must attend school and parents or caretakers must participate in school conferences. Countable assets must be $2,000 or less and licensed vehicles needed for individuals subject to the work requirement may not exceed $8,500. Work requirements: Adults in families receiving cash assistance must work or participate in work related activities for a specified number of hours per week depending on the number of work-eligible adults in the family and the age of children. 20 hours weekly in core work activities. 30 hours weekly with at least 20 hours in core activities. Married teen or teen head of household under age 20. Maintains satisfactory attendance at secondary school or the equivalent or participates in education related to employment for at least 20 hours weekly. Two-parent families who do not receive subsidized child care 35 hours per week (total among both parents) with at least 30 hours in core activities. Work Activities: Federal law includes 12 work activities. 9 of the activities are 'core' activities in that they may be used to satisfy any of the average weekly participation requirements. The other 3 activities are 'supplemental' in that they may only be used to satisfy the work activity requirement after the 'core' requirement is met. In addition to cash assistance, TANF funds are used to fund a wide variety of services that are not considered cash assistance. These services include child care, transportation, mental health counseling, child abuse prevention and early intervention, etc. Under Florida law, eligibility for TANF funded services for families who are not receiving cash assistance is generally set at 200% of the poverty line. In 2014, 200% of poverty is $39,580 annually or about $3,299 per month for a family of three.